Last night, Lil Wayne attended Birdman‘s Before Anythang official album release party at Studio 23 venue in Miami, Florida. 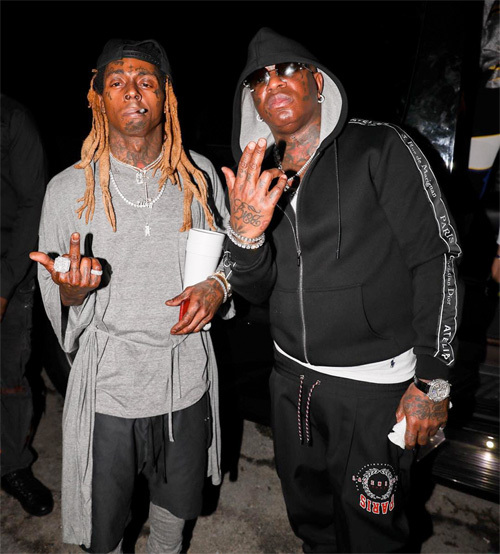 Once again while at the event, Weezy, Baby and Mack Maine took a couple of photos together, which you would think means there is no problems between them. The #1 Stunna shared the photo above on his Instagram with a caption reading: “Tonite #before anythang release party #lovemyson @liltunechi @birdman5star #YCMBEAST”. You can check out another pic after the jump below!